A couple quick shots with my K28/3.5. Nothing too special. But I'm really taking a liking to this lens compared to the M28/2.8. The lens is a bit bigger than the M and a little slower. I don't know why I pick it up more often than the M.
2. 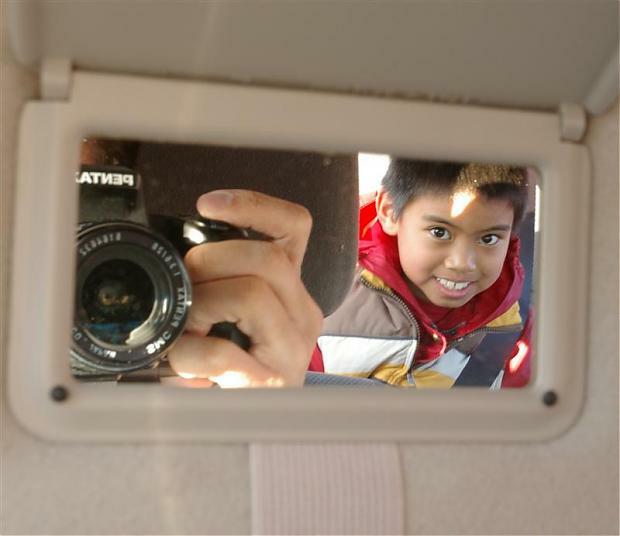 My son in the car visor mirror. 3. A weird one. I had my 28/3.5 on the camera at 3.5, and I grabbed my M50/1.4 set at 1.4 and reversed it onto the front of the 28. 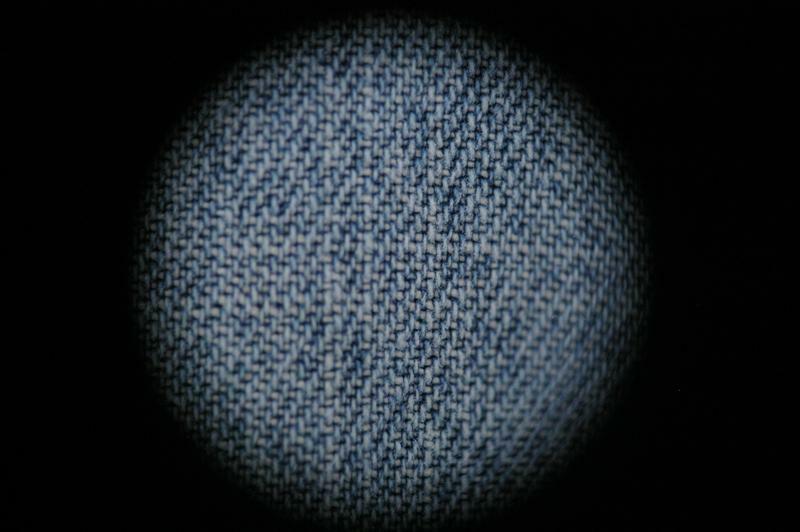 Looked at a pair of jeans on my bed. Here was the result. Last edited by Alvin; 03-19-2007 at 10:39 AM. Reason: M50/1.7! I'm still wanting a 1.4 but later, much later. 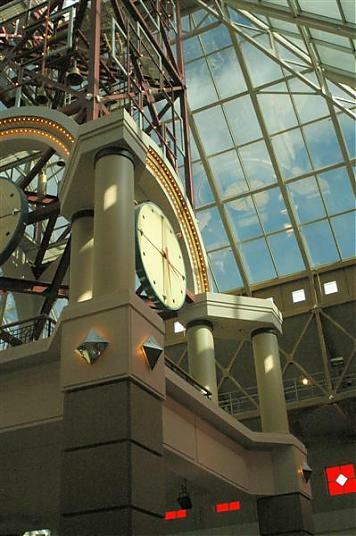 I like the clock pic Alvin. The second picture makes me smile.... what is the third one of? Looks like denim. You're right - it's a pair of jeans I saw on the bed. Funny, the vignetting when I toss one lens on the other. I've got to get a reversing ring so that I can try some macros with my 50.